Are You Ready to Get Your Toddler on their Balance Training Bike Fast & Seamlessly?! 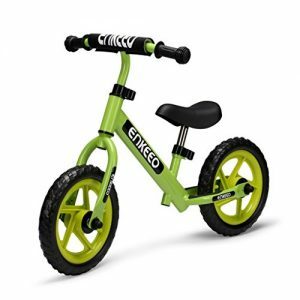 Quickly & Easily Setup your balance bike for toddlers in as little as 4 minutes! How? …So now you can easily setup your toddlers balance bike in as little as 4 minutes… meaning you save priceless time! 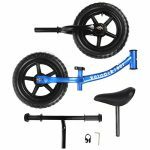 Your child will start having fun on their Velocirider balance bicycle in a flash! 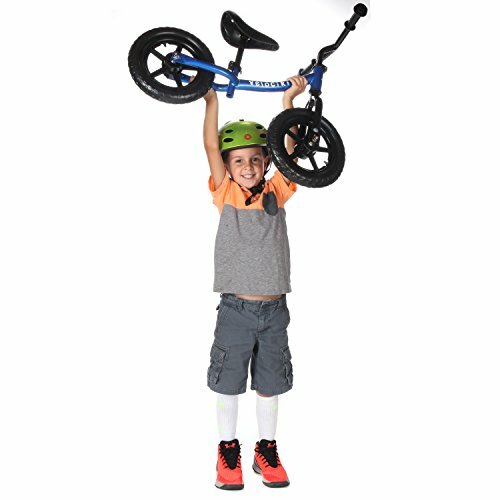 Are You Ready to See the Smile on Your Child’s Face when they Ride their Steady, Stable & Safe Balance Bike ?! Over grass & gravel alike, your child will enjoy the confidence they gain as they quickly learn how to balance themselves. 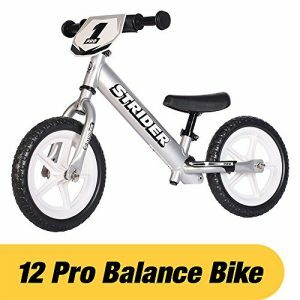 With this balance bicycle for toddlers & kids …you can also rest assured that your child will stay safe, steady, & stable. Made of a premium quality alloy with rust prevention, you’ve invested into your child’s happiness, smile, & their balanced life! 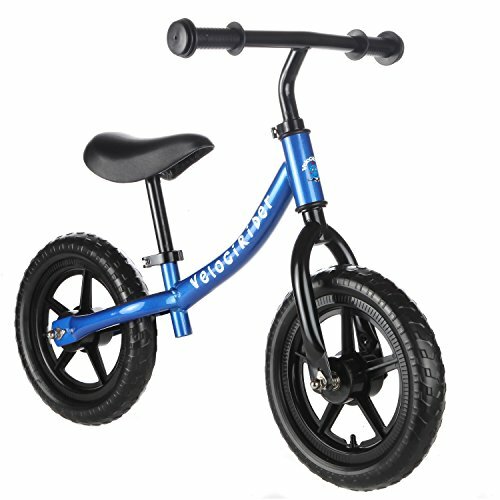 What Makes Velocirider the BEST Balance Bike on Earth?! 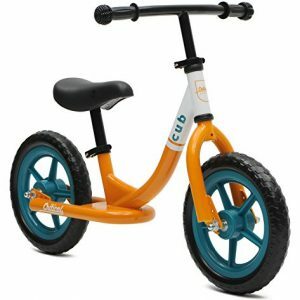 Do You Want a Durable Kids Bike to Keep Your Boy or Girl Occupied for Hours on End?! AND with our premium anti-rust design they can play as long as the Want! We Guarantee Your Child Will Be Riding In No Time! 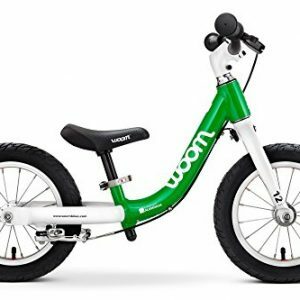 If your child is learning how to ride their bike Too Fast…simply return it & You’ll Get All Your Money Back – no questions asked! If You’re to Ready to Make Memories With Your Child Gliding at Your Side… Click Add To Cart NOW! LIGHT AS A FEATHER, MAINTENANCE FREE & NO AIR FILLING ! – Instead of adjusting a toddler bike seat & the handlebars every time your child grows an inch, this push bike uses our quick-clamp technology so your child’s balance bike grows with your toddler … With our state of the art airless tire technology you can make spare tires a thing of the past! Hate filling up tires with air? Hate punctured tires?… Not Anymore! Never get a flat tire again AND Reduce CO2 Emissions… You have found the Best ! INVEST IN YOUR CHILD WITH PREMIUM QUALITY & DURABILITY ! 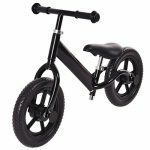 – A boys & girls balance bike should not only look sturdy, but also be Sturdy. 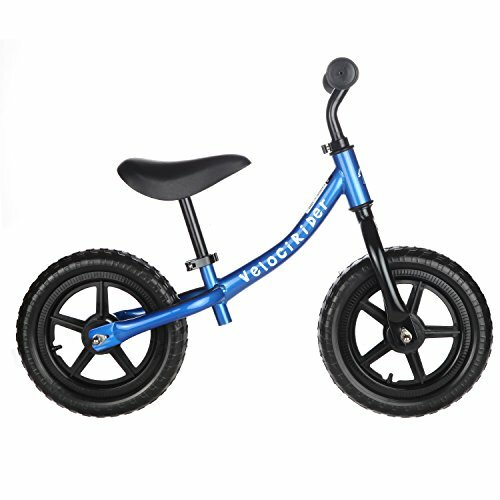 Your Velocirider kids balance bike is easy to learn and ride. 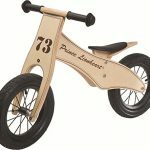 This glider bike is painted in a high-gloss pewter coat that impedes & eliminates rust. That means your balance bike for kids will Last Longer & Stay Safer for your child ! 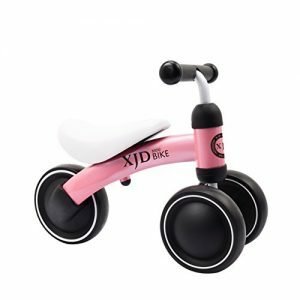 Kids bikes are meant to be used again & again… with our anti-rust design on your new toddler balance bike …The Fun Never Stops!